Location & Hours in Beverly, OH |Skinner Firestone Inc.
Skinner Firestone offers you a complete selection of the finest tire products and a full menu of automotive services. Skinner Firestone sales associates & service technicians use their knowledge, training & industry skills to bring you the right tire and service solution. 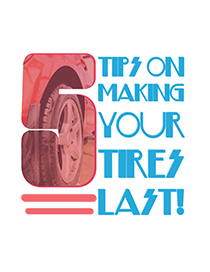 You'll find discount tire prices and expert tire & auto service at Skinner Firestone. Bridgestone, BKT, Kenda, Firestone, Michelin, BF Goodrich, Carlisle, Fierce, GBC, General, GT Radial, Hankook, Pirelli, Roadmaster,Titan, Trelleborg, Uniroyal, Continental, Cooper Tires, Dunlop, Falken,Goodyear, Fuzion, Kelly Tires, Kumho Tires, Mastercraft Tires,Supergrip, Yokohama, Super Swamper, Nexen and Toyo. For expert assistance and the Beverly, OH area's best tire selection and prices, visit Skinner Firestone Inc. or contact us today! In Need of an Alignment? We have leased out our alignment shop and are proud to refer all alignment services over to Gary!